Moroccan and Algerian nationals are planning yet a new initiative to put pressure on Algiers to open the borders, kept sealed since 1994. 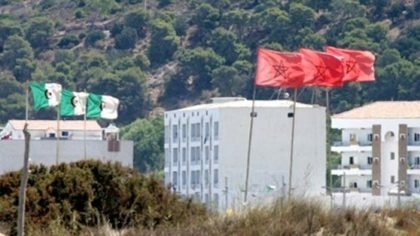 This time, activists have called for a march departing from the border towns of Maghnia in Algeria and Oujda in Morocco to the border crossing of Zouj Bghal on July 22, Moroccan daily al Ahdat Al Maghribia reported. According to the same paper, the march aims at drawing attention to the problems inflicted on the border areas at the economic and social levels due to the border closure. The call for the march comes in a context marked by rising calls for normalization of ties between the two countries notably after Algeria voted in favor of Morocco’s 2026 Word Cup Bid. The March also coincides with speculations on a joint bid for the 2030 world cup between the three Maghreb states of Morocco, Algeria and Tunisia. Morocco has campaigned for years for a reopening of the borders with Algeria, which have been kept closed since a 1994 terrorist attack in Marrakech. Following this attack in which Algerians were involved, Morocco imposed visa on Algerian nationals in a context marked by the surge of terrorism in Algeria where a civil war was raging between security forces and terrorist groups. Algeria responded by closing the border in what analysts explained as a move to suffocate Morocco’s eastern region and push the kingdom to concessions on the Sahara issue. Algeria has armed, hosted and backed financially and diplomatically the Polisairo separatist movement, which aspires to create an entity in the Sahara, a region that Morocco considers part and parcel of its territorial integrity.